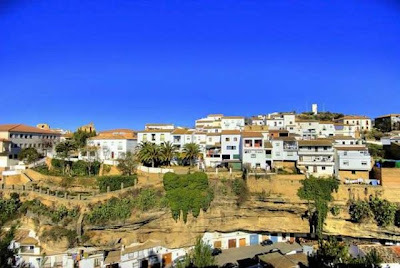 The seamless aluminium beer can turns 50 years old this month. 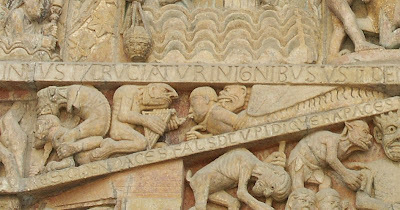 That's right, just a half a century ago, the beer-drinking world suffered the ignominy of drinking suds through seamed steel cans. 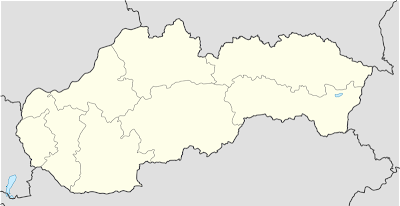 The fine folks in Golden, Colorado, changed all that back in 1958 and we've been celebrating the contents of the aluminium can ever since. 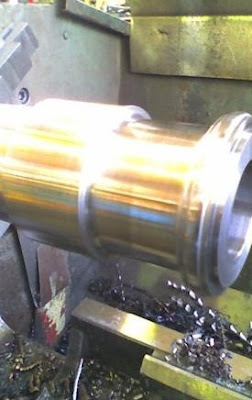 Perhaps even more useful than what lies inside the can is the can itself. 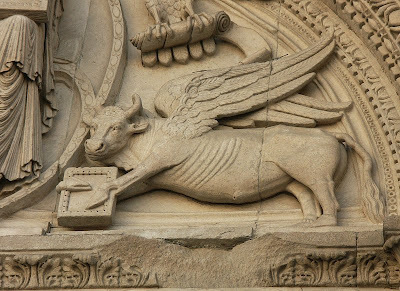 It's recyclable, after all. 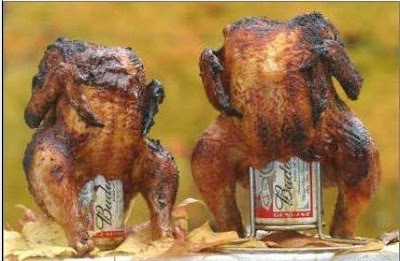 And plenty of folks have put empty beer cans to astounding use. 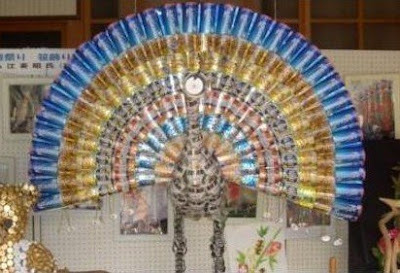 Check out our gallery of amazing empties and dream of what you might do (aside from passing out) after you finish your next four-pack. 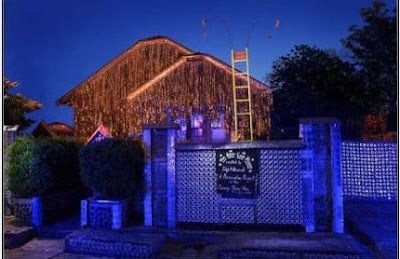 The Beer Can House gives a reason to visit Houston. 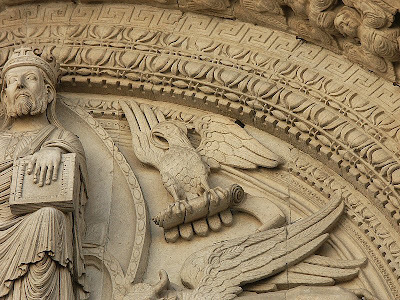 The house includes 50,000 beer cans and 50,000 reasons to stop putting your cans in the recycling. 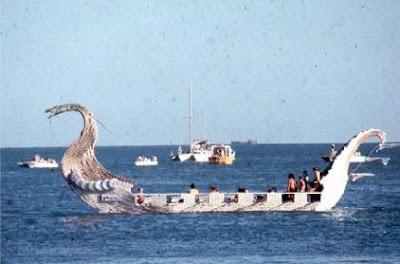 The good people of Darwin Australia started a beer can boat regatta to combat all the empty beer cans on their beaches. 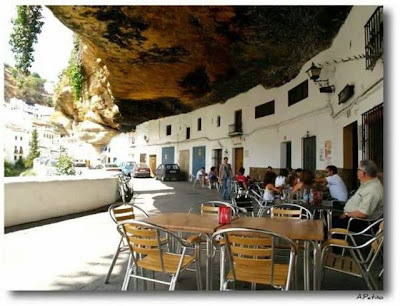 Of course, what do you do during the regatta but drink more beer? 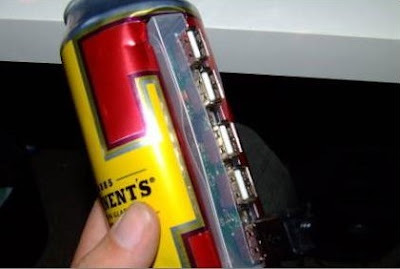 If you have a spare USB hub you don't mind ripping apart, here's one that'll fit in your favorite beverage. 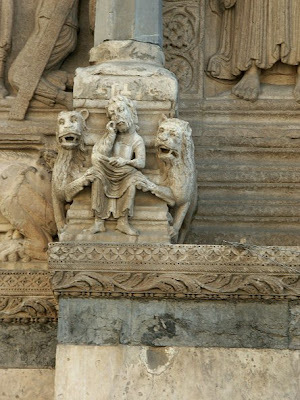 A little late for Thanksgiving decorations, but you could buy this Turkey Statue for your Super Bowl party. 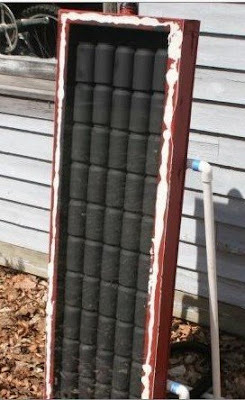 Just using 50 aluminum cans, black paint and a few tools you can create a passive solar heater. 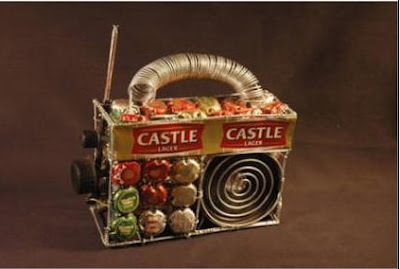 This recycled radio includes bottle tops and cans for its casing. 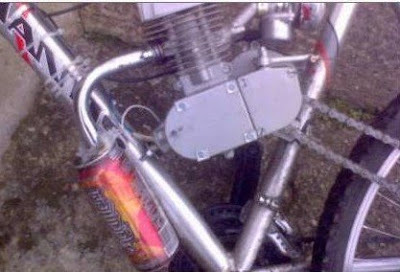 This MacGyver wannabe had a broken exhaust pipe on his motorized bicycle, so he fitted a beer can into his new exhaust system. 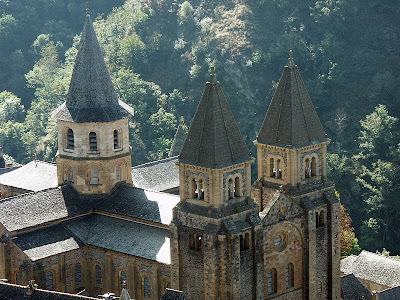 For the ultralight backpacker set, a cooking pot made out of a Foster's can for boiling water. 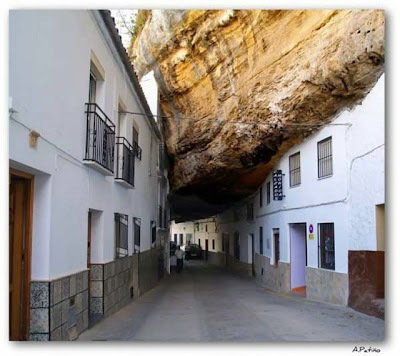 The weight loss from the cook pot will be offset if your backpack contains extra beer. 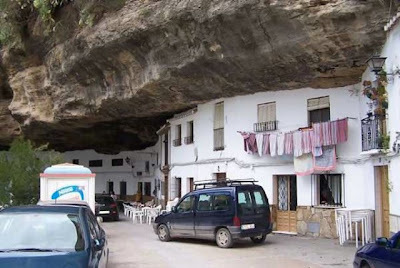 Only $14 at Backpacking Light. 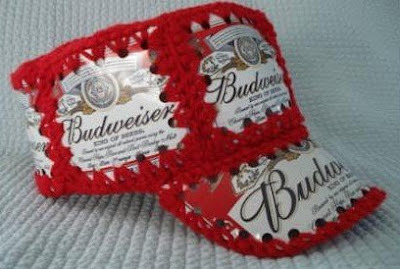 Last year the Beer Can Crochet Hat made a comeback when designer Meghan Fabulous put one on each of her models during a fashion show. 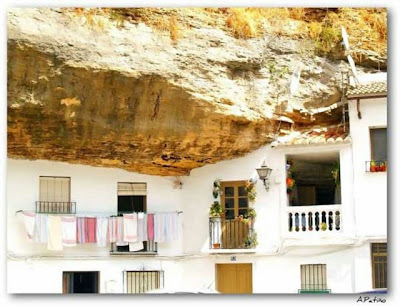 Expect all the cool kids to wear one this summer. 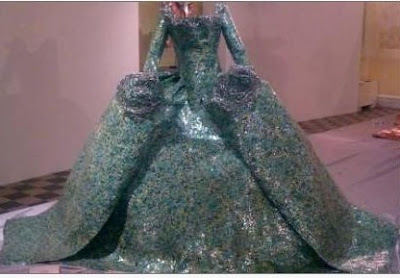 Designer Nikos Floros created a show of opera gowns from a weave of recycled beer cans. 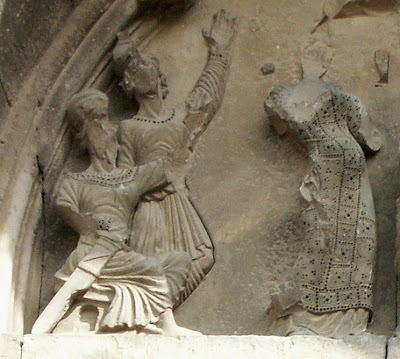 Now we know why she's considered the fat lady. 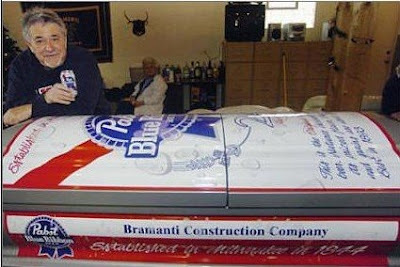 A man obsessed with PBR had a custom coffin made for himself. 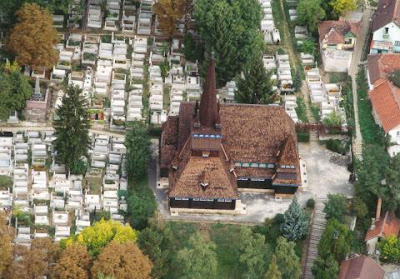 Until the ultimate Last Call, he'll use the coffin to store cold beers. 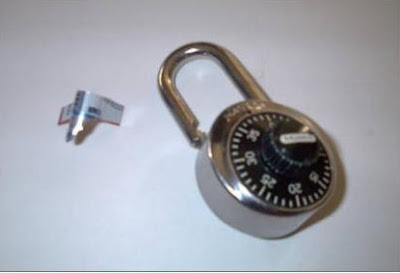 Don't you hate that all the good beer is kept locked away? 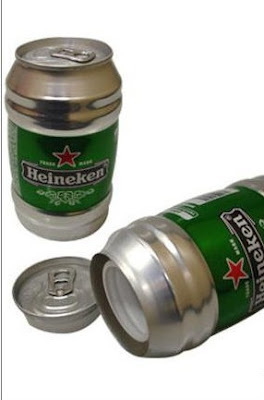 Now you can modify a beer can to make a shim to pop that fridge open, and save you $20 that you'd pay for a commercial shim. 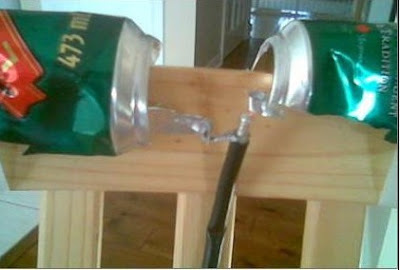 Here's a hack anyone could love: making a TV antenna out of beer cans. 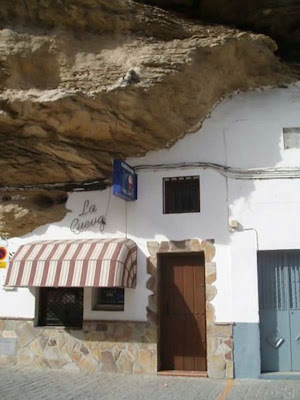 Warning: indoor use only, unless your beer cans are equipped with a surge protector. 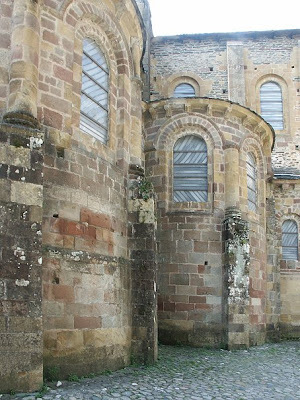 A solid beer can might be used as a projectile for a beer can cannon, like this homemade job. 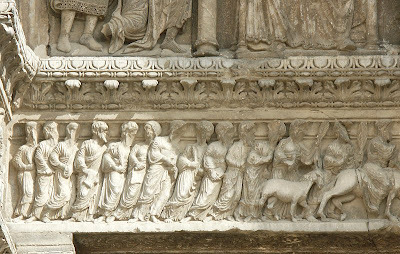 Most of the better web HowTo's suggest filling the empty can with cement for best distance. 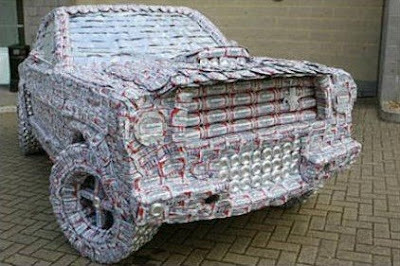 Combining a few of our favorite things is the Beer Can Mustang. 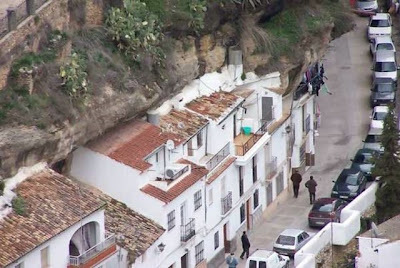 It's a replica of a '65 Mustang from 50,000 beer cans. 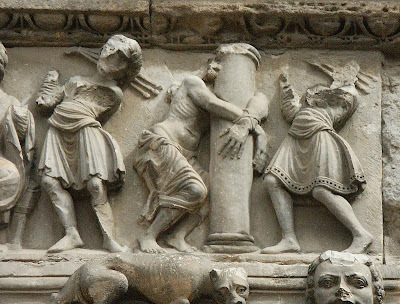 Say you might have some sort of stash that you might want to keep away from prying roommates. 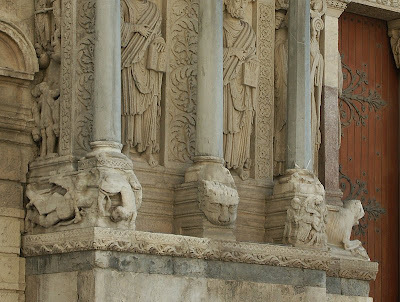 Like jewelry, cash, or something green and sticky that makes you want to eat Taco Bell. 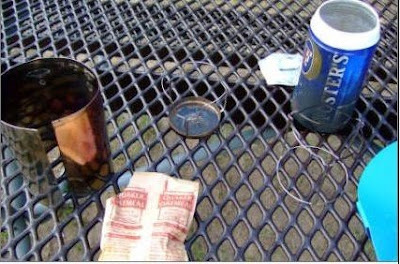 There are plenty of different models of beer can Stash Safes on the market, costing $14, but you could probably make your own. 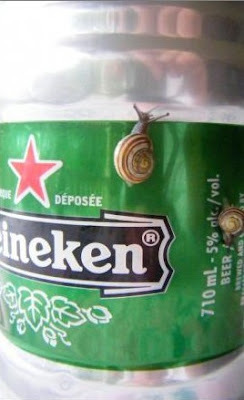 It might seem like a waste of beer, but the slugs love it, and you can make a simple slug or snail trap with an old beer can. 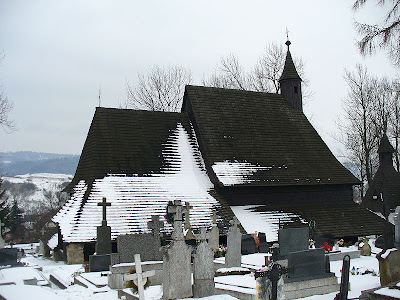 The Wooden Church (Deszkatemplom) is a church in Miskolc, Hungary. 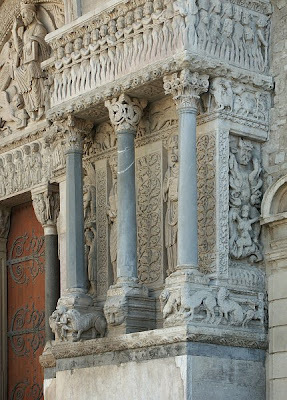 It is built of carved wood. 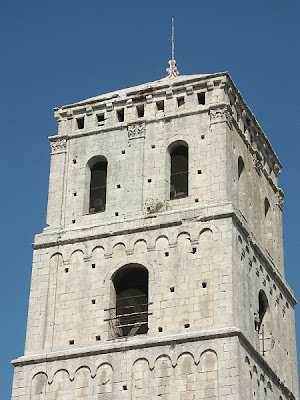 The present building was built in 1999 in place of the previous one that was destroyed by arson in 1997. 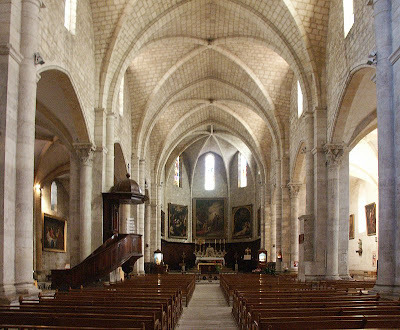 The first church was consecrated on September 13, 1637, but both this date and the existence of the church are preserved only in tradition and there is no documentary evidence. 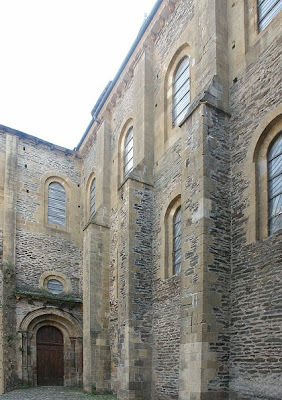 The first document mentioning a church at this site dates back to 1698. 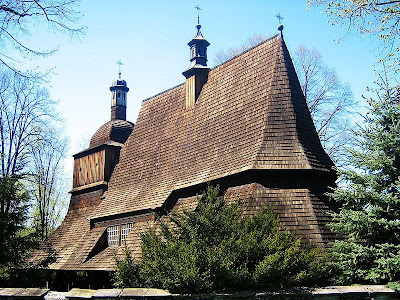 This church was built of wood, but nothing else is known about it. 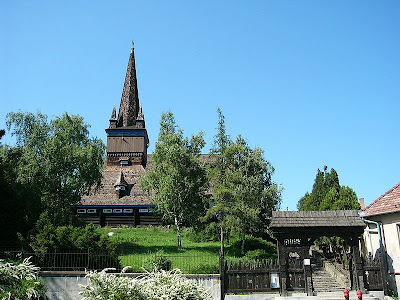 The first church known by the name of 'Wooden Church' was built in 1724 and it stood until 1937. 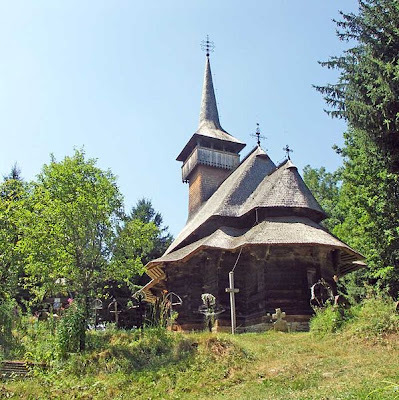 The Maramures wooden churches in Northern Transylvania are a selection of eight examples of different architectural solutions from different periods and areas. 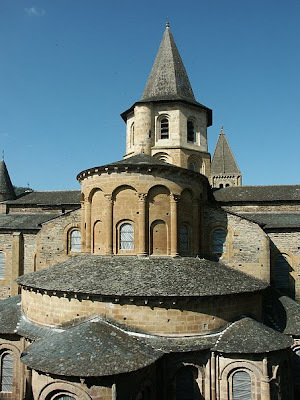 They are Orthodox churches. 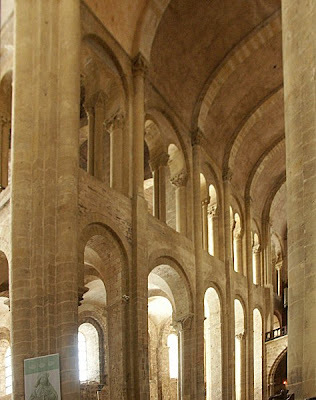 They are high timber constructions with characteristic tall, slim bell towers at the western end of the building. 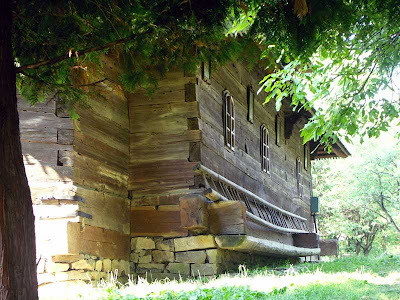 They are a particular vernacular expression of the cultural landscape of this mountainous area of northern Romania. 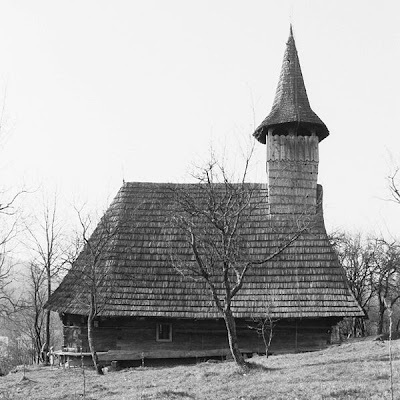 Maramures is one of the better-known regions of Romania, with autonomous traditions since the Middle Ages - but still not much visited. 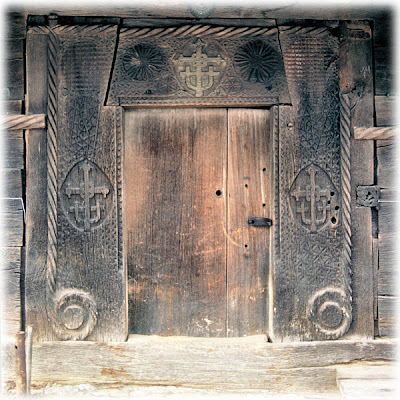 Its well-preserved wooden villages and churches, its traditional lifestyle, and the local colourful dresses still in use make Maramures as near to a living museum as can be found in Europe. 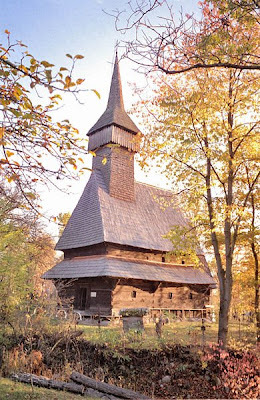 Wooden Churches of Southern Little Poland and Subcarpathia of the UNESCO inscription are located in Gorlice, Nowy Targ, Bochnia counties ( Lesser Poland Voivodeship or Malopolskie), and Brzozów County (Subcarpathian Voivodeship) and are in Binarowa, Blizne, Debno Podhalanskie, Haczów, Lipnica Murowana, and Sekowa. 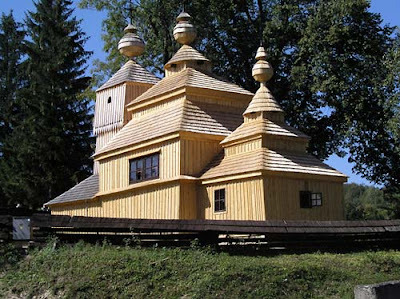 There are in fact many others of the region which fit the description: "The wooden churches of southern Little Poland represent outstanding examples of the different aspects of medieval church-building traditions in Roman Catholic culture. 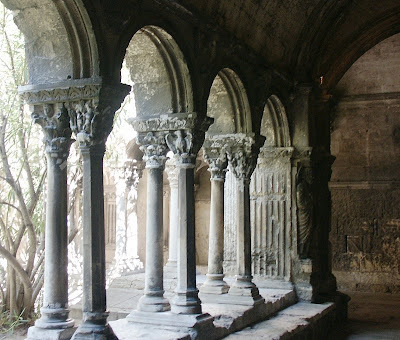 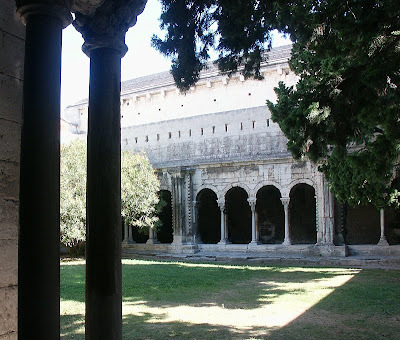 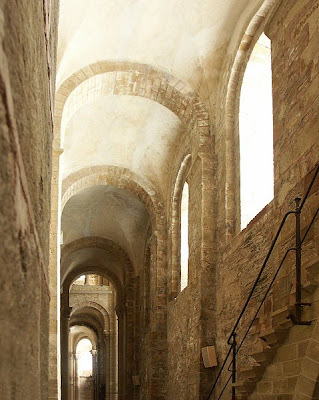 Conant describes this cloister as one of the finest in France" (256). 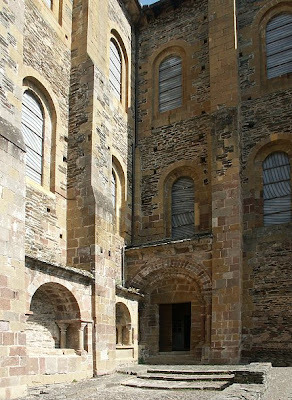 This very large cloister has both Romanesque and Gothic sections, the former constructed during the second quarter of the 12th century (the northern gallery) and in the late 12th and early 13th centuries (the eastern gallery), the latter not built until the 1380s and 1390s--the southern and western galleries. 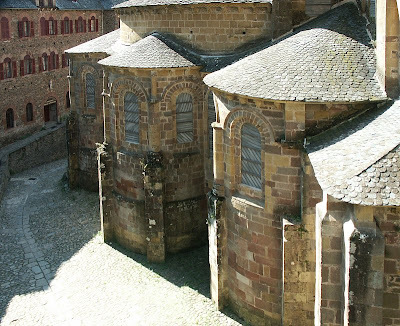 The abbey church, which has survived intact in its Romanesque form, is located in the town of Conques, from the Latin concha, meaning a shell (appropriate because the town is nestled in a gorge or hollow). 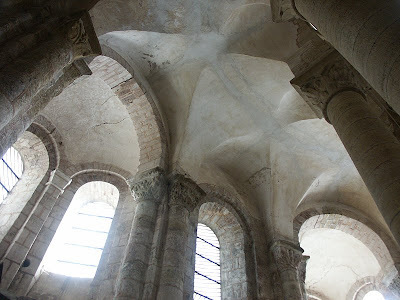 This site was attractive as a retreat from the outside word to the early medieval founders of the abbey. 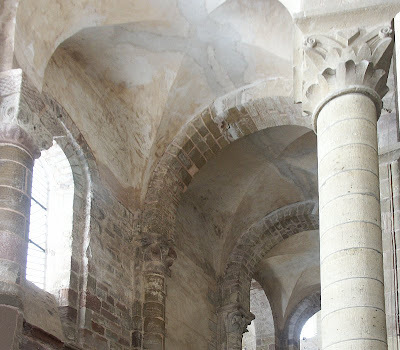 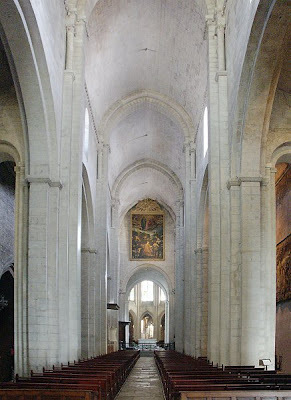 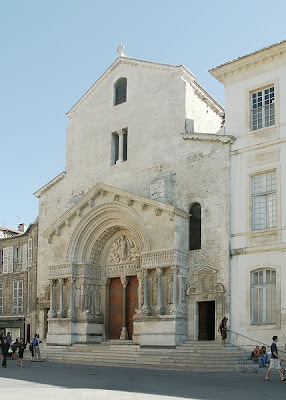 Originally, in the 8th century there was a simple oratory at the site, but once the relics of Sainte Foy were in possession there (a Benedictine monk had stolen them from a monastery at Agen) in 866 and 883, the site was expanded. 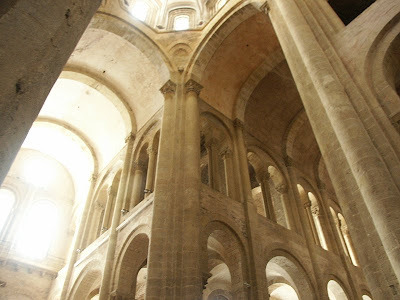 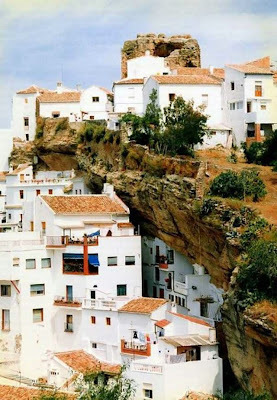 In the 11th century a new church was begun which was completed by the mid 12th century. 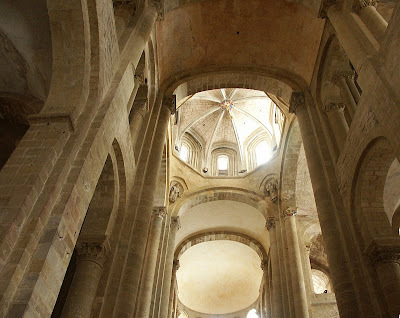 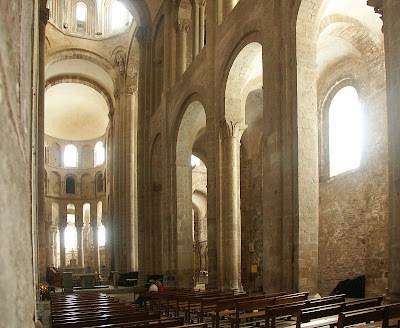 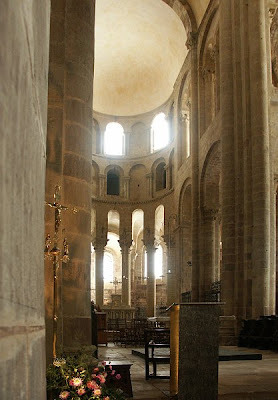 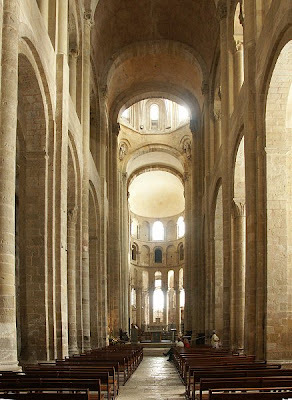 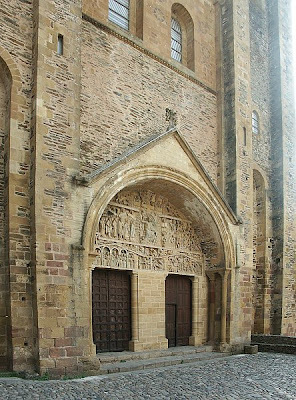 This Romanesque pilgrimage church became a major stage on the Via Podiensis, the route between Le Puy and Moissac--one of the main pilgrimage roads to Santiago de Compostela. 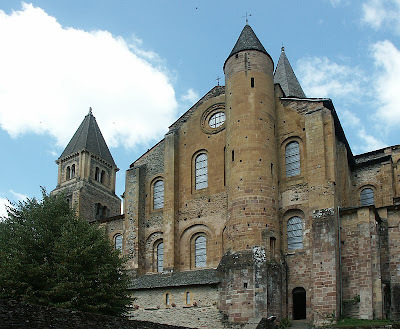 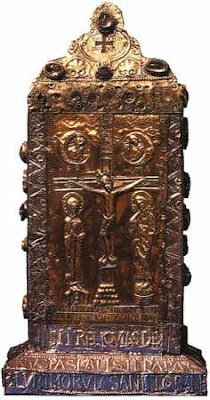 The site became famous because it housed the relics of Sainte Foy, the daughter of a wealthy family in Agen who had converted to Christianity and thus refused to sacrifice to the pagan gods. 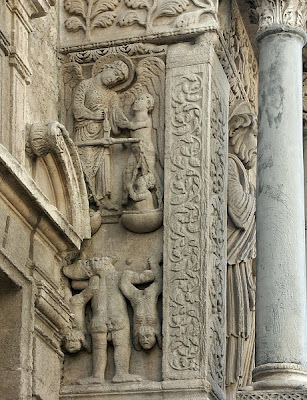 In one of the last persecutions of Christians by the Romans, in 303 the proconsul Dacien condemned this 12-year old girl to be burned alive according to the imperial edict of Diocletian. 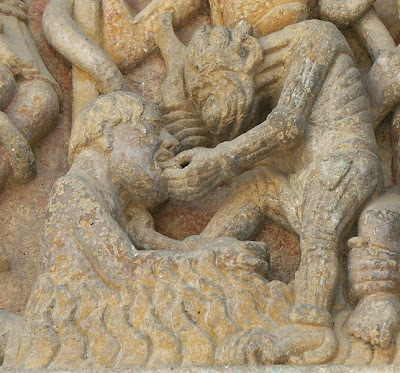 Although the flames were "miraculously" extinguished, the young martyr was then beheaded. 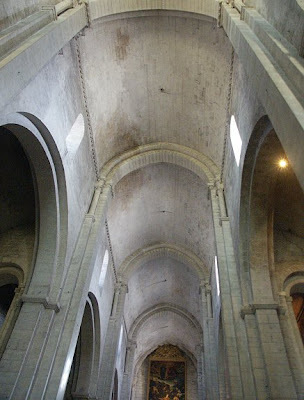 Her remains were saved and in later years miracles were attributed to their presence. 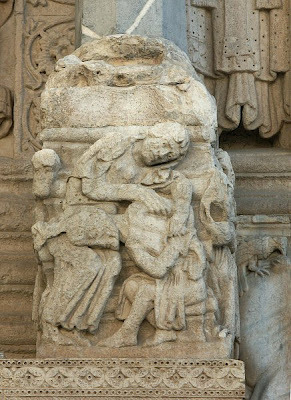 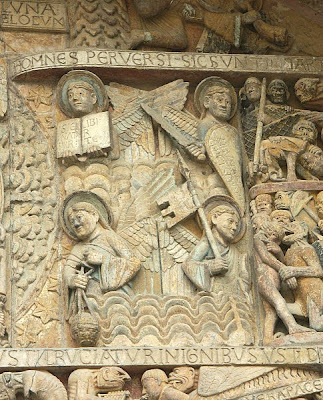 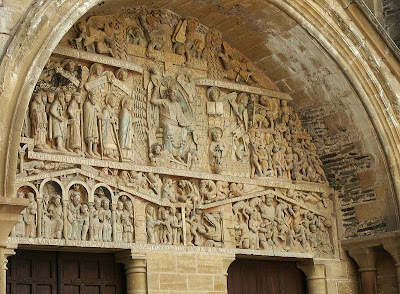 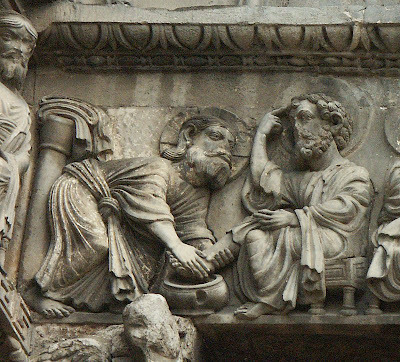 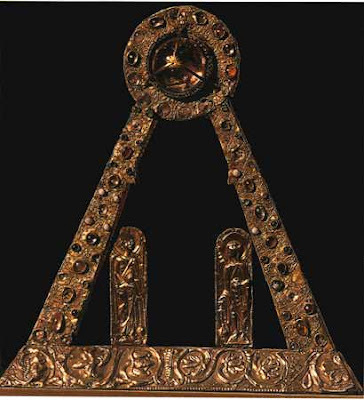 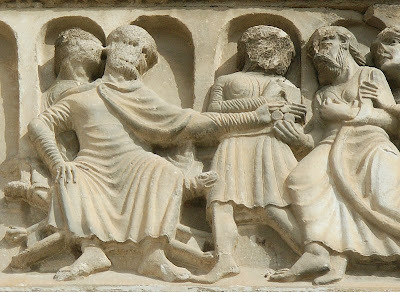 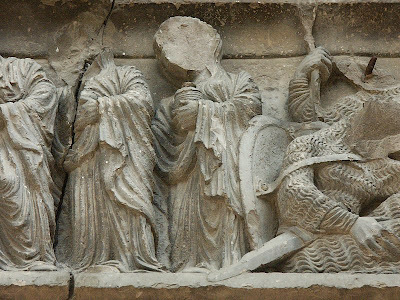 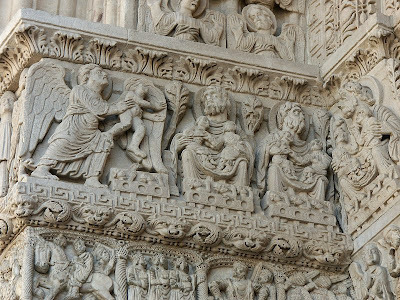 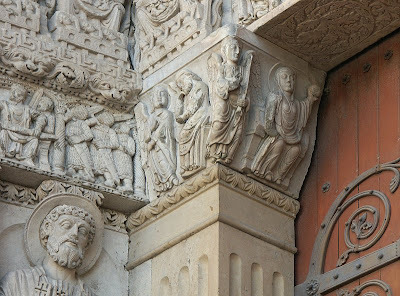 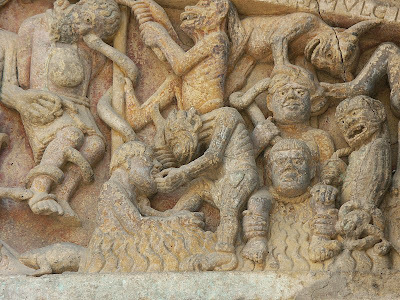 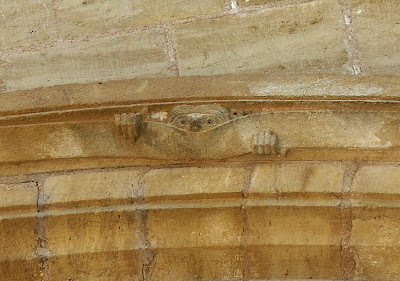 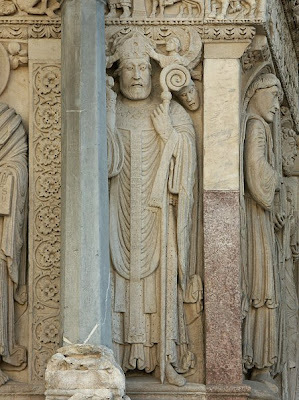 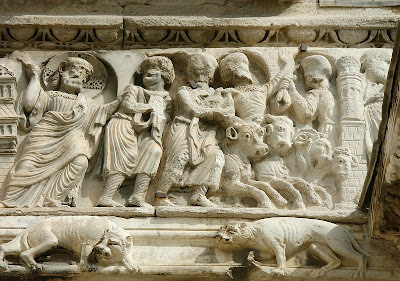 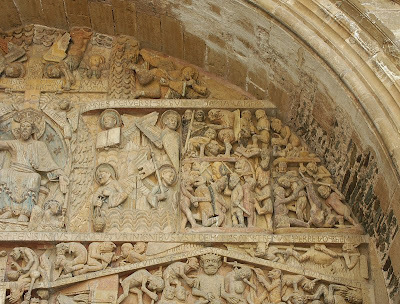 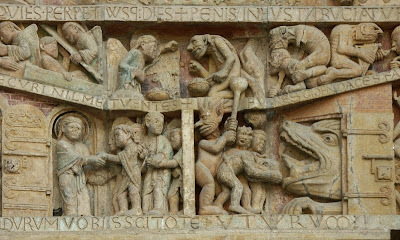 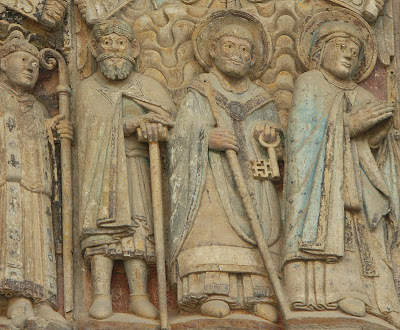 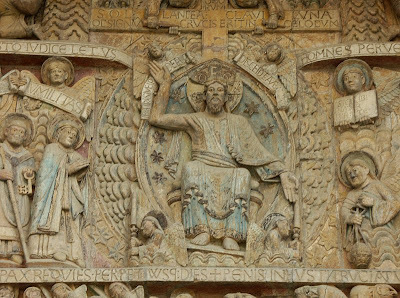 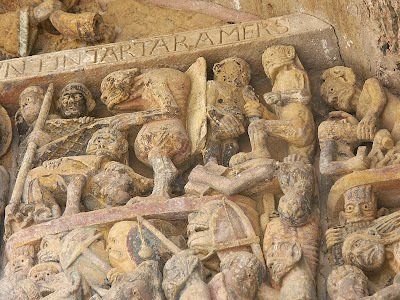 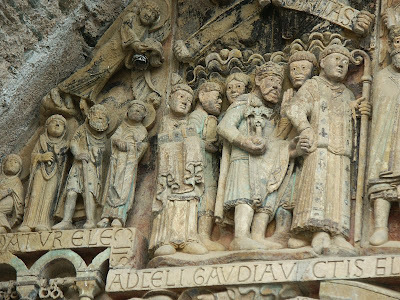 Once the relics were situated at Conques, they attracted many pilgrims; stories of the blind seeing again or prisoners being freed are attributed to the saint's intercession. 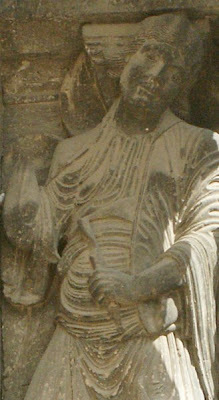 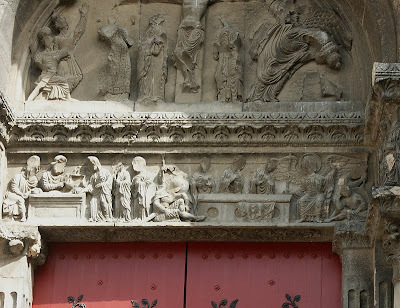 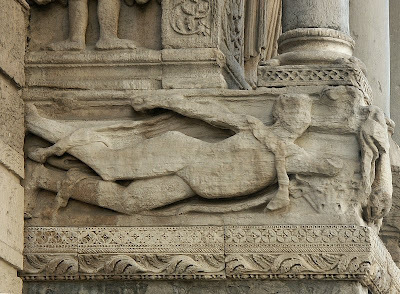 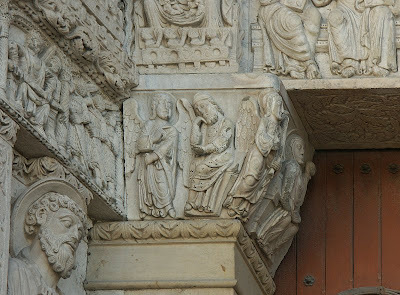 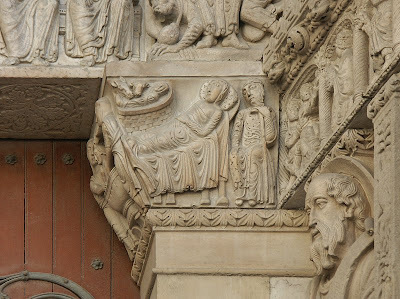 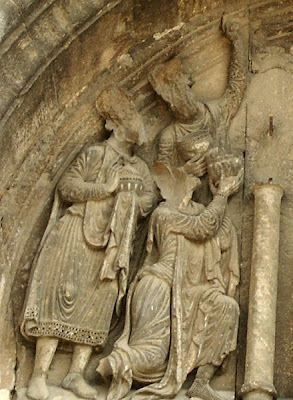 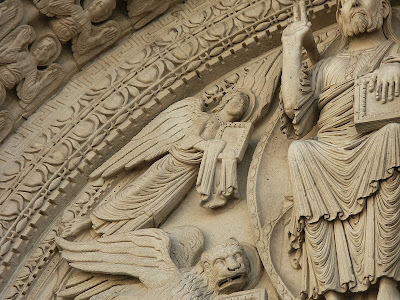 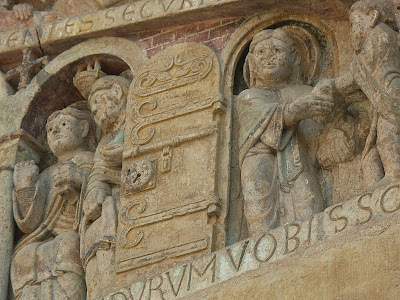 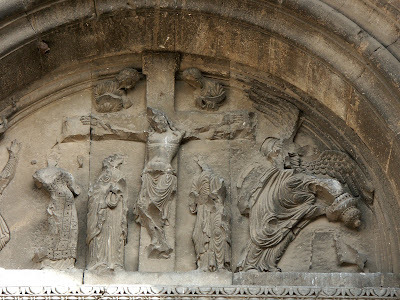 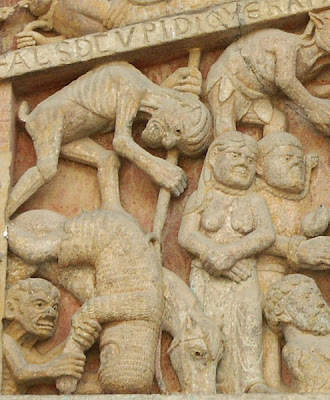 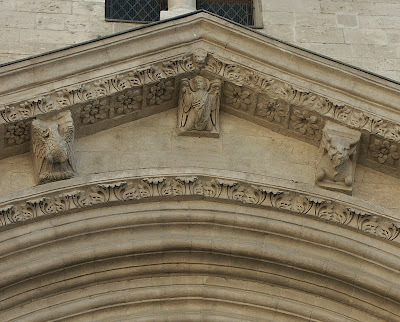 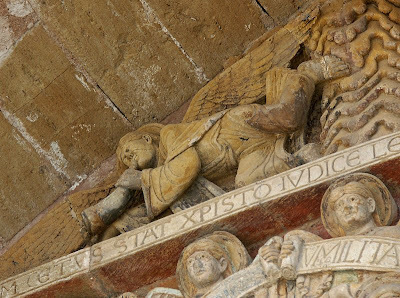 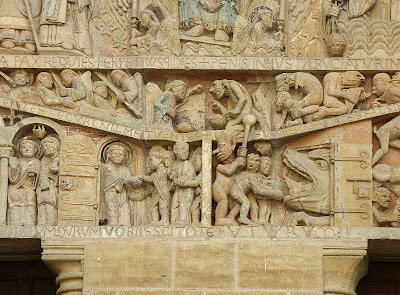 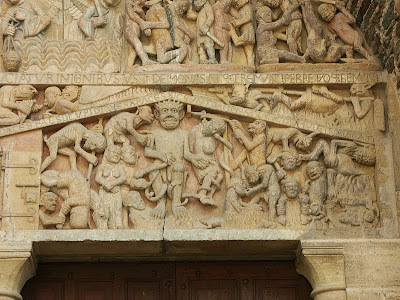 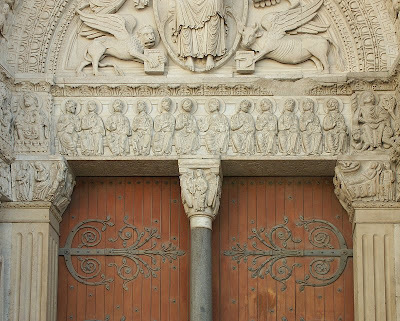 (The depiction of Sainte Foy on the tympanum of the church includes shackles hanging above her figure as a way of emphasizing these miracles.) 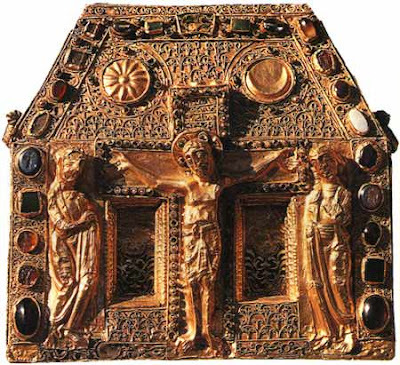 Today in the Treasury of the church one can see some of the most fabulous golden religious objects in France, including the very famous gold and jewel-encrusted reliquary statue of St. Foy. 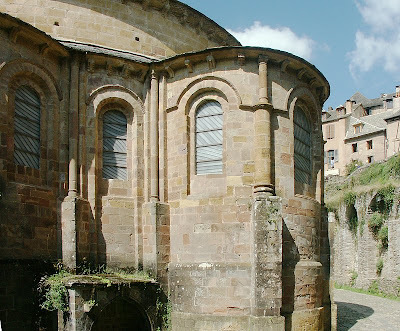 This important pilgrimage church was on the so-called Via Tolosa, the route that led from Arles to Toulouse (Saint Sernin) with the final destination being Santiago de Compostela. 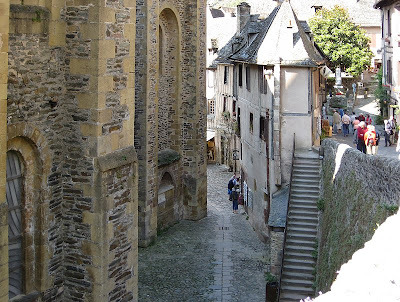 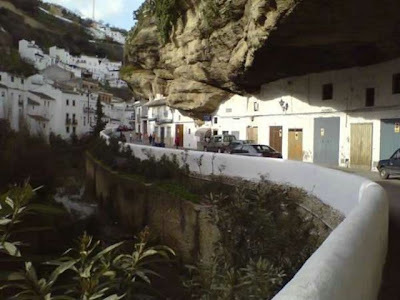 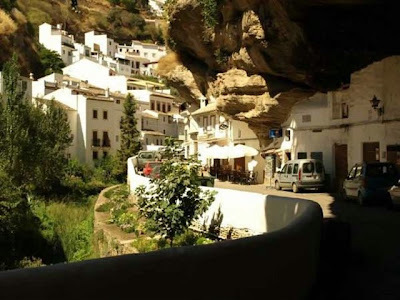 "This road was taken by pilgrims coming from Italy, Switzerland or Central Europe, as well as the "Romieux" who, after Rome, were going to Compostela, or vice versa. 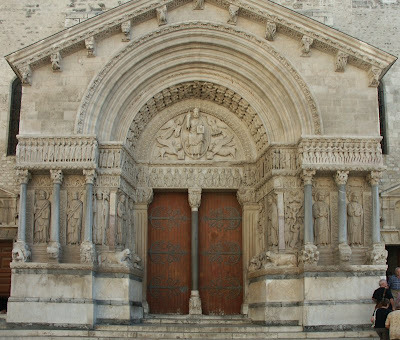 They had come after crossing the Alps at Montgenèvre Pass, or by the road along the Ligurian coast" (Roux 77). 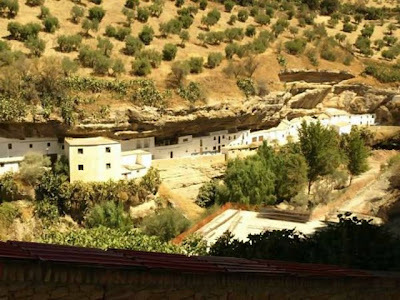 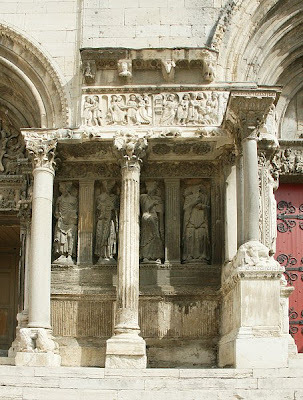 This route was, however, also known as the Via Aegidiana--an indication of the importance of the shrine to Saint Gilles (Aegidius in Latin). 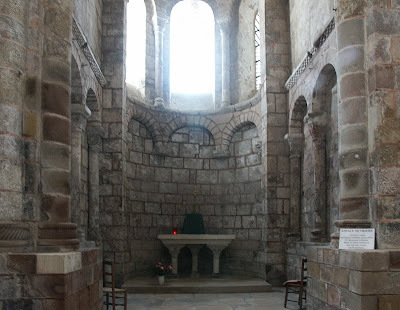 A major building campaign began in 1116 to build the crypt in the "lower" church. 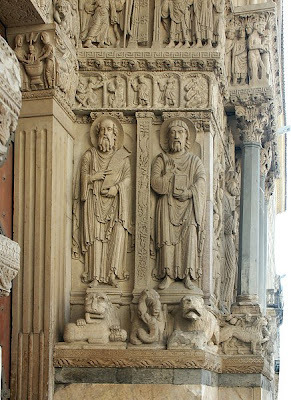 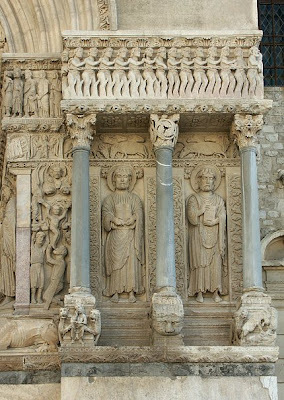 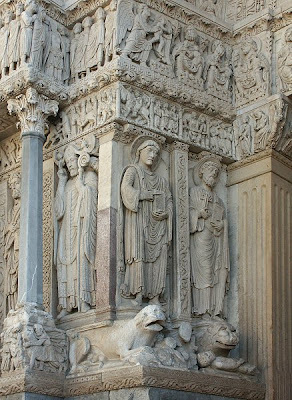 This area with the shrine to Saint Gilles was the important site for pilgrims, although the facade, begun later, is notable for the most spectacular ensemble of sculpture. 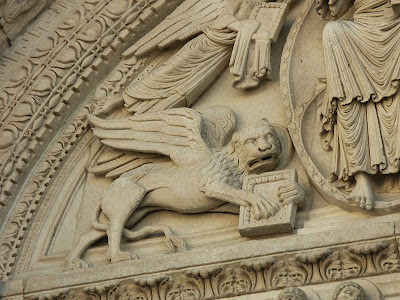 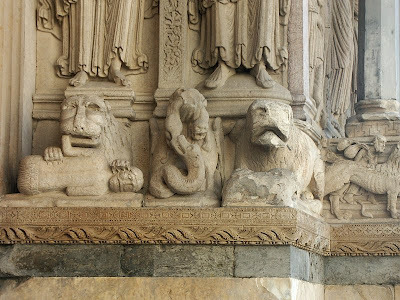 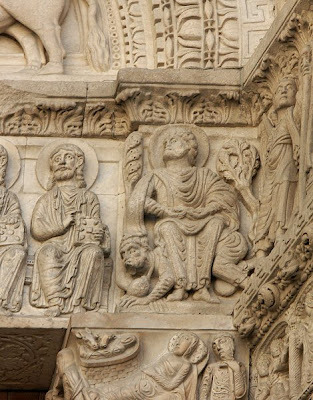 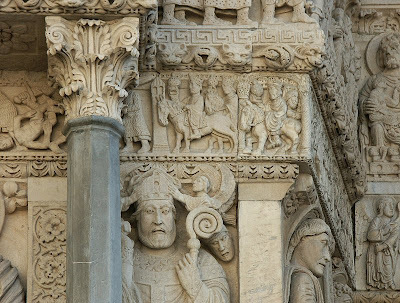 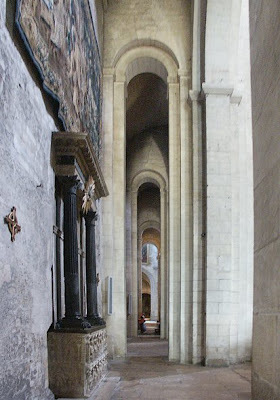 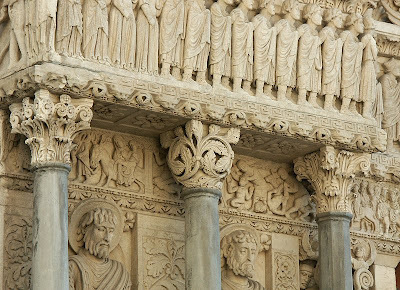 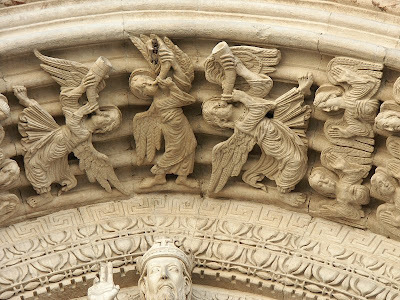 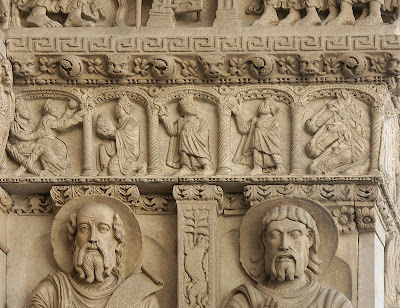 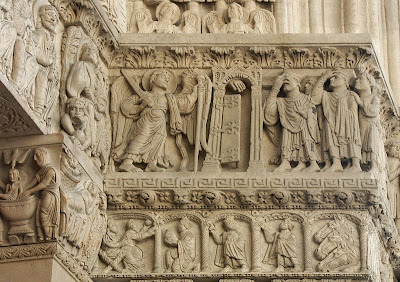 Carra Ferguson O'Meara claims that the "richness and complexity of its architectural and sculptural composition rivals that of the west portals of the cathedral of Chartres and of the abbey church of Saint-Denis. 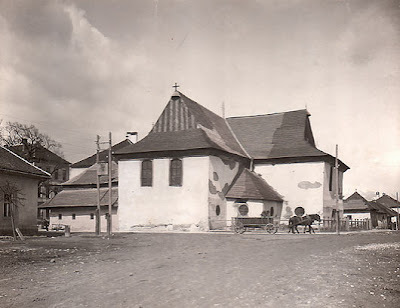 . ." (2). 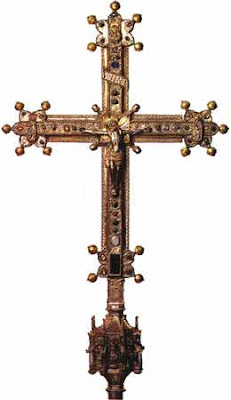 Unfortunately, much of this decoration was mutilated during the religious wars of the sixteenth century. 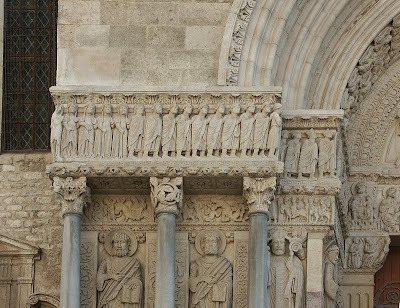 A number of sculptors (6-8 and their assistants?) 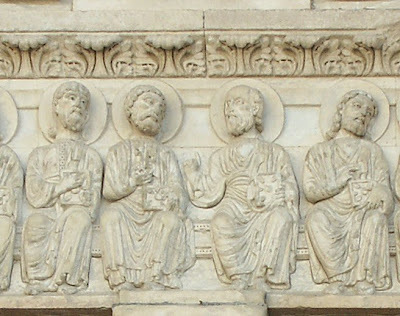 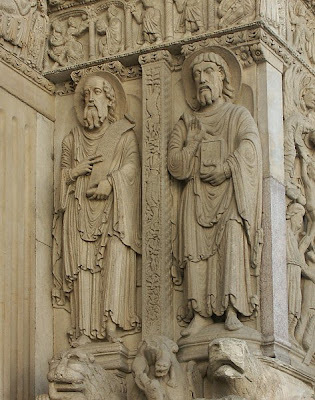 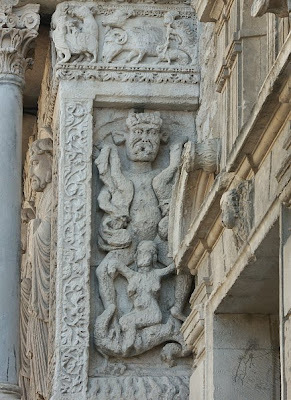 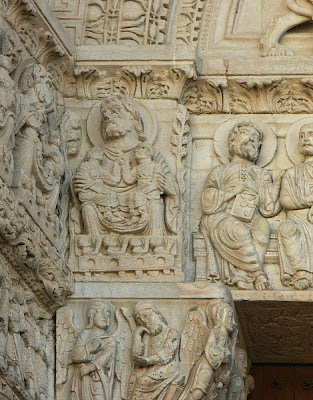 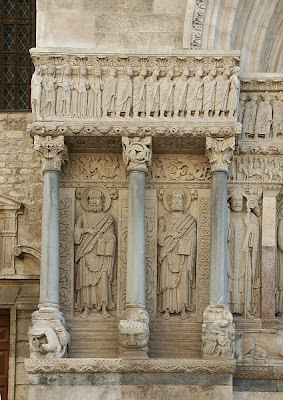 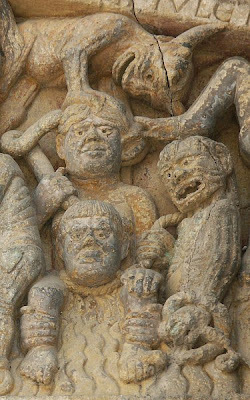 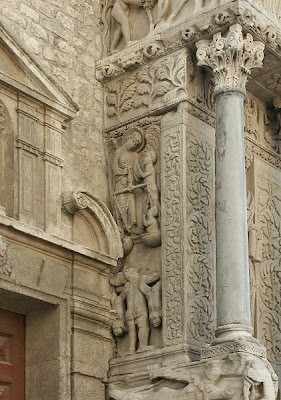 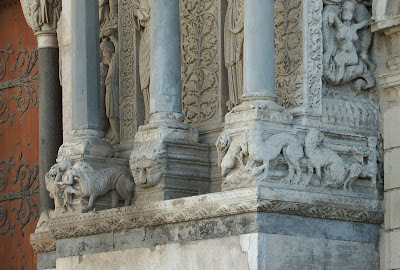 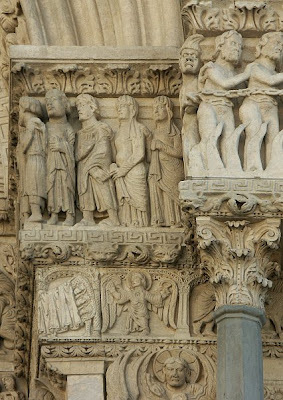 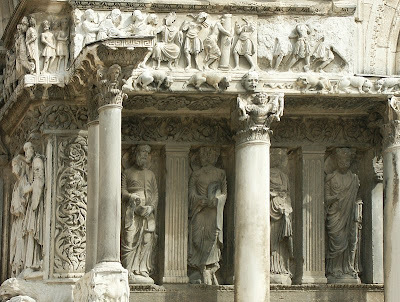 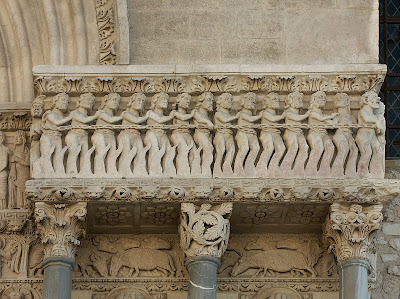 no doubt carved the ensemble on the facade, evident in part because their styles vary widely. 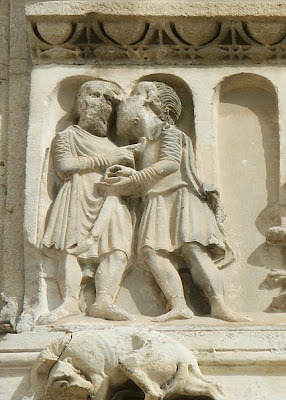 (See Stoddard for details.) 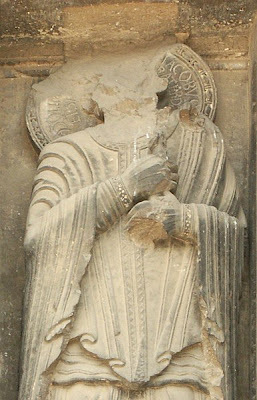 Stoddard dates this project as early as the late 1120s although other scholars have posited dates in the late 12th and early 13th centuries. 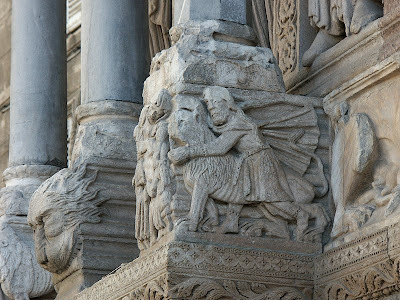 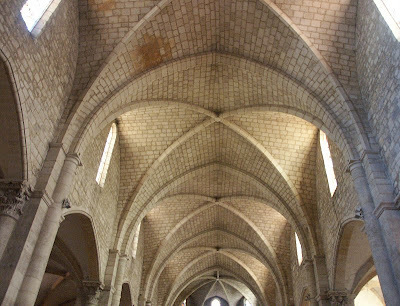 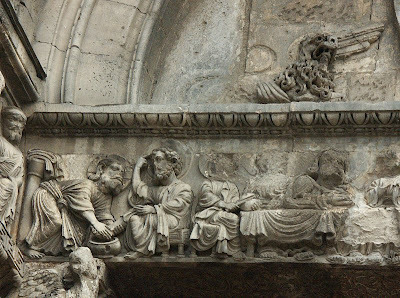 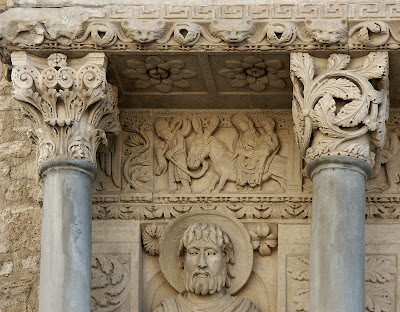 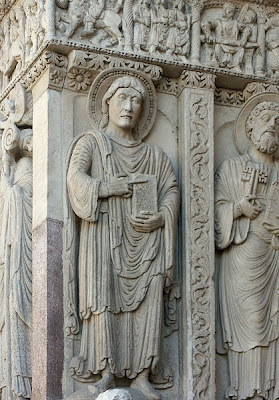 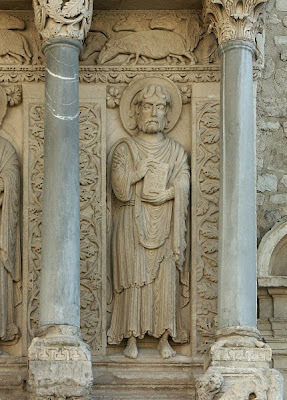 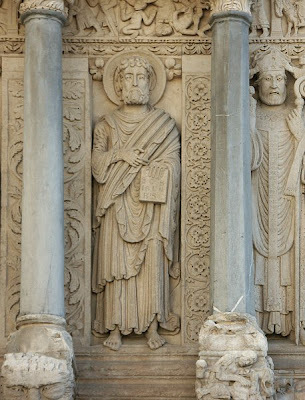 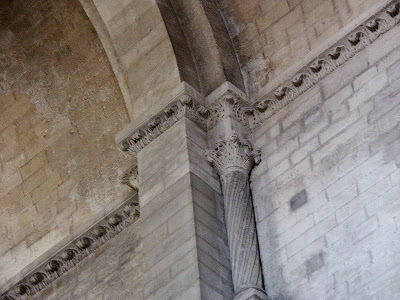 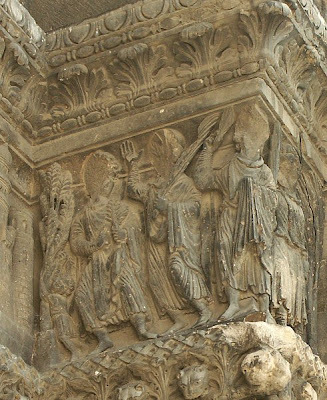 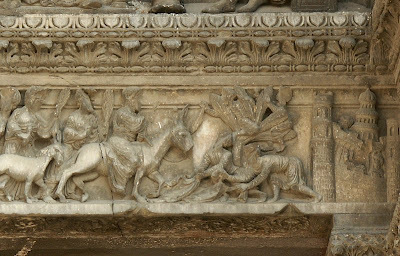 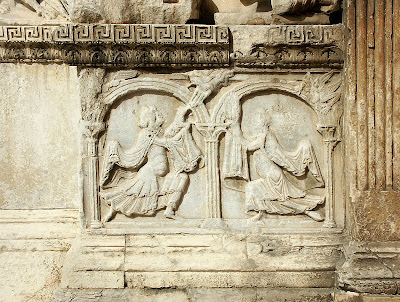 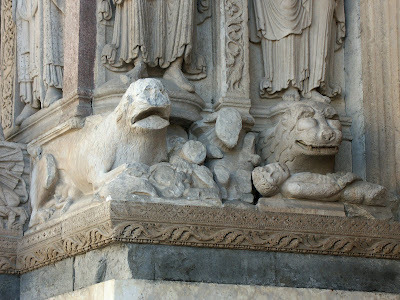 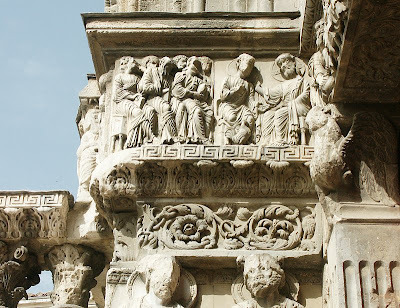 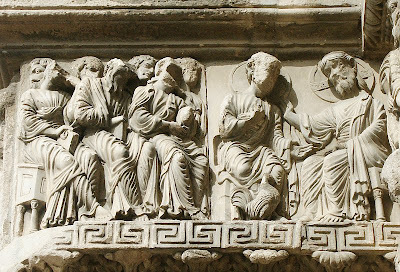 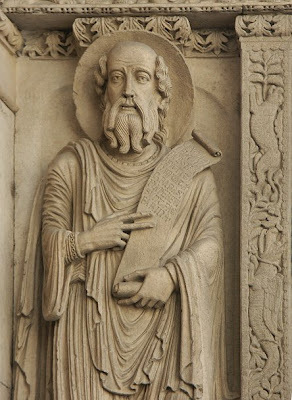 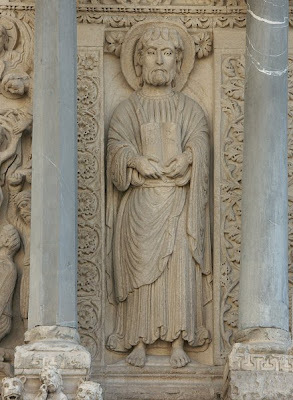 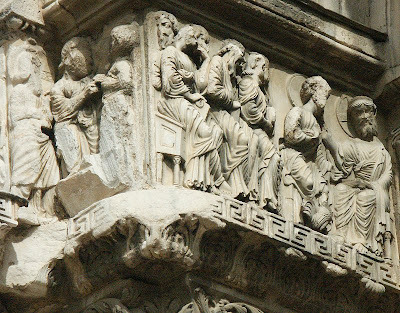 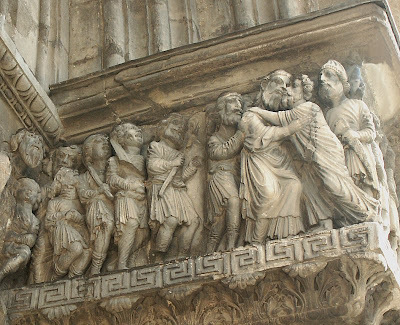 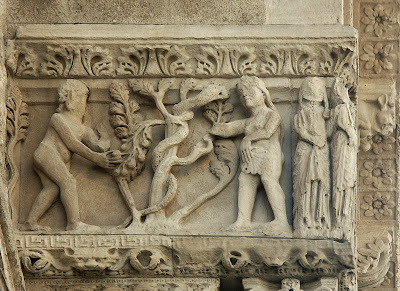 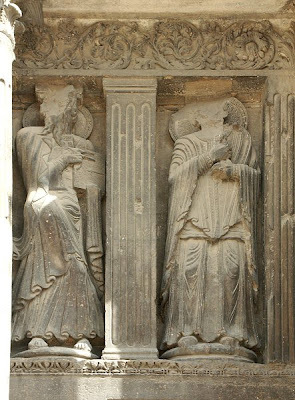 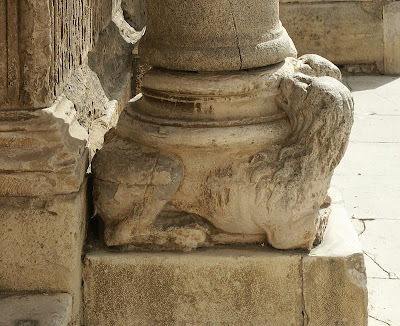 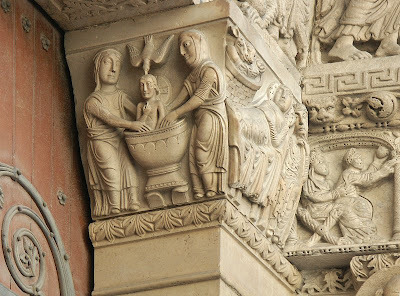 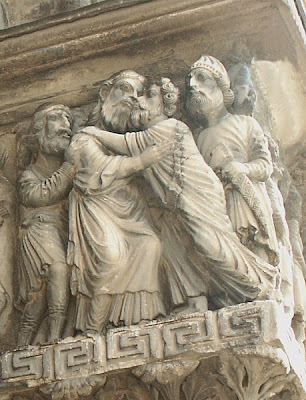 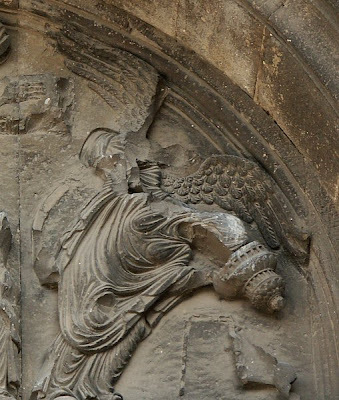 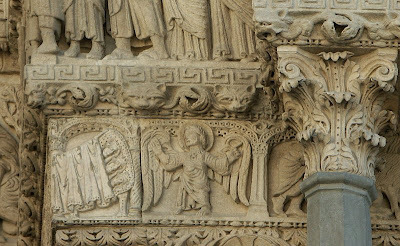 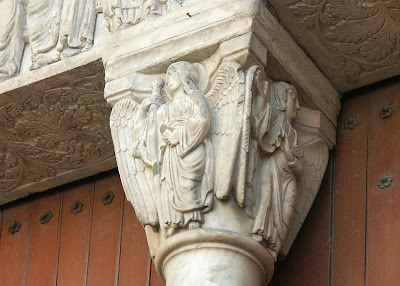 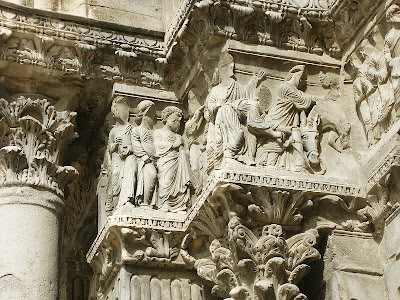 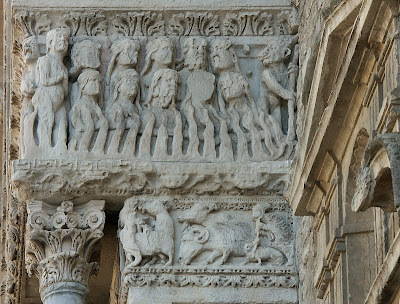 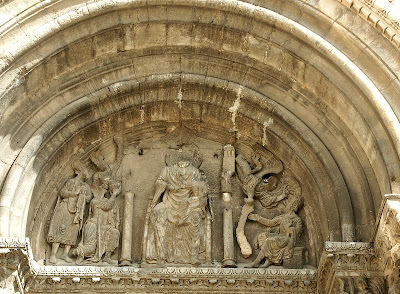 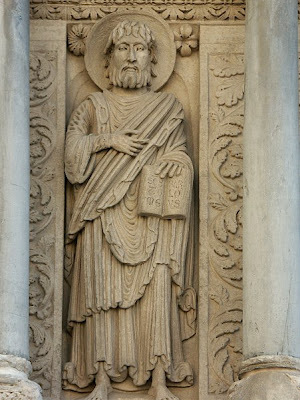 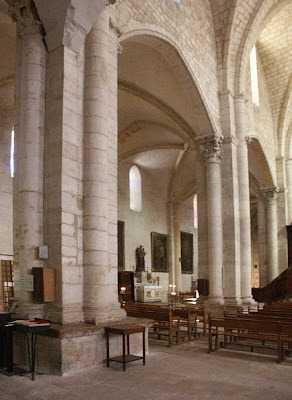 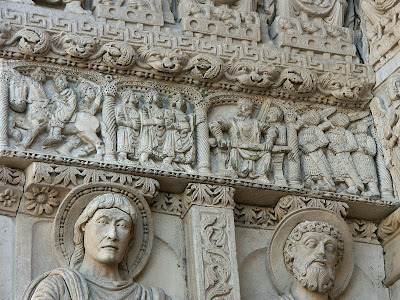 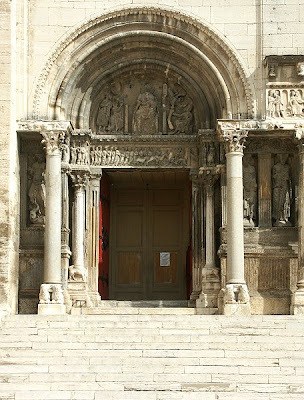 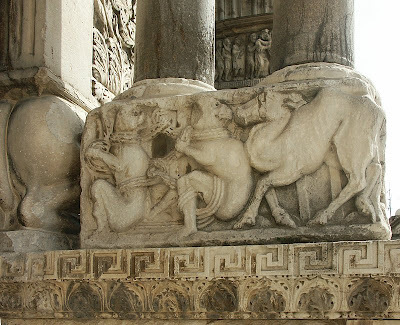 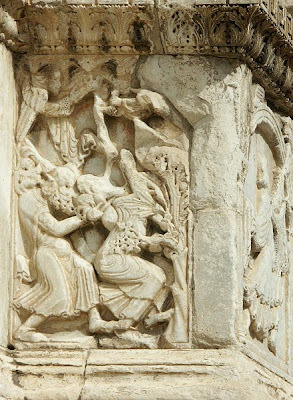 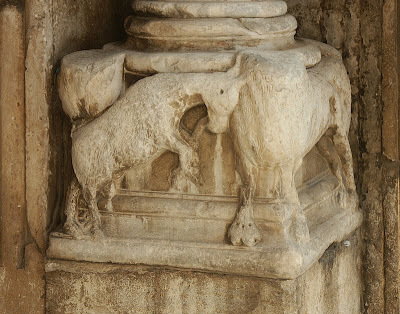 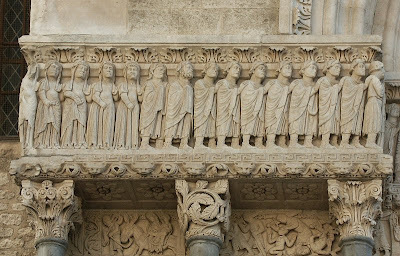 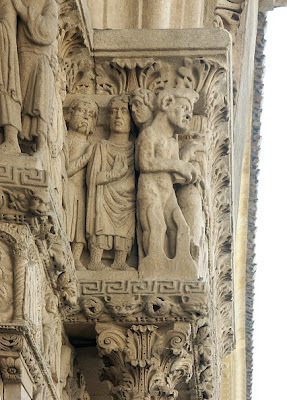 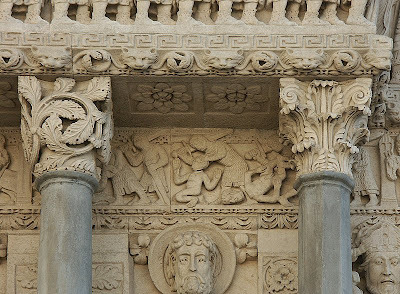 This church, influenced by the Roman architecture and sculpture in the area as well as early Christian sculpture (some now in the Arles museum), was also influential on other buildings, most notably St. Trophime, the stop before Saint-Gilles on the Via Tolosa.